completed a Business Retention and Expansion survey project in conjunction with the Selkirk College Rural Development Institute to determine local and regional business priorities. 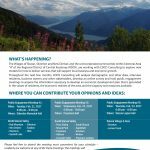 assisted with the creation of the Slocan Valley Community Legacy Society. a series of 18 free business Lunch and Learn workshops, 2015.